Two teenagers have been arrested after a knife attack which left a 15-year-old boy in a life-threatening condition. Kyron Webb was found unconscious on Worsley Avenue in Moston, Manchester at 19:10 BST on Tuesday with serious injuries after the attack. He remains in critically ill in hospital, Greater Manchester Police (GMP) said. 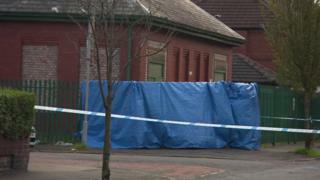 An 18-year-old man and a 17-year-old boy have been arrested on suspicion of attempted murder, police said. Ch Supt Wasim Chaudhry said: "I would continue to ask that anybody with information, no matter how big or small you think it may be, contacts police immediately. "We know the area was busy at the time of the attack and it's likely someone saw something that they don't realise could prove vital to our investigation."